Bob Canham Jr. and his father, Robert Canham Sr. shared a special bond, and a lifelong desire to learn and advance their profession. Learn about this family’s dedication to the Water Environment Federation (WEF; Alexandria, Va.) and the water sector. This article marks the first in the WEF Legacy Family Highlights series and is part of #MyWaterLegacy. 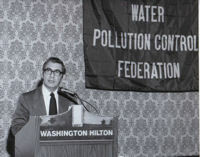 Few commit one decade to a single task or job, but Donald J. Reish has spent nearly five decades reviewing research for the Water Environment Federation (WEF; Alexandria, Va.). The 92-year-old marine biologist joined WEF and the California Water Environment Association in 1954 after reading WEF’s journal, now known as Water Environment Research (WER). Do you have a schedule that makes attending traditional classes next to impossible? The online self-study courses offered by the Office of Water Programs at California State University in Sacramento might be a suitable alternative. Last year, Debra Shore, delivered the keynote address at the Women in Water Breakfast held during WEFTEC 2015. She asked each woman at the breakfast to think about ways they could be more visible — as engineers, treatment facility operators, biologists, and technicians — to other women in their communities. She challenged the women present to write down one pledge for the next year. In this column, Shore shares her insights on women in water and these pledges. Biocycle Farm, a large farm in Eugene, Ore., sustained entirely by recycled water, doesn’t rely solely on herbicides or machines to maintain the 88,000 poplar trees planted on the property. The Metropolitan Wastewater Management Commission (MWMC; Lane County, Ore.), which manages the land, saves almost $3500 in labor and fuel costs each year by employing more than 150 sheep to “mow” the grass. To preserve the quality of our most vital waterways, an outdoor educational program is working to pique the younger generation’s interest in environmental stewardship. On top of school, work, sports, and countless other activities vying for the attention of urban high school students, finding time to experience nature becomes a challenge. For Baltimore Chesapeake Bay Outward Bound School, the solution is simple — bring classroom education into the open wilderness. Tim Ricker, past chief executive officer of the Water Environment Federation (WEF; Alexandria, Va.), died July 31 at the age of 66. Born August 29, 1949, in Washington, D.C., Ricker became an influential leader at WEF. 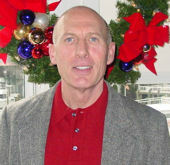 Ricker began his 36-year-career as WEFTEC® exhibits manager. He advanced to take on increasingly responsible leadership positions.